I know you won’t be a bit surprised when I say that plants make wonderful gifts for friends and family. Houseplants give off oxygen and absorb carbon dioxide, which improves air quality. Plus, plants add color and life to any room. Best of all, the recipient of your gift gets to watch it grow and change through the years. This week, I’ve collected some ideas for giving the gift of green this year. An Asparagus Fern. 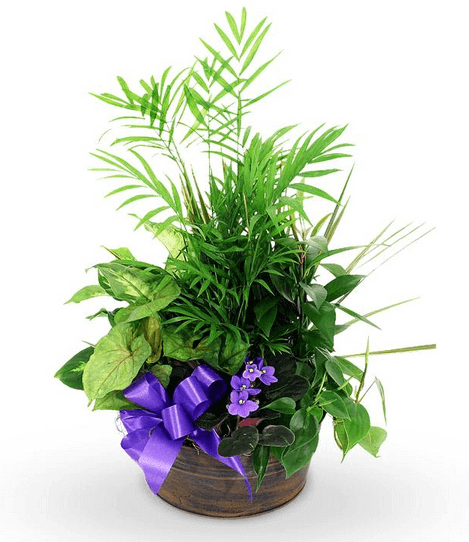 This is the perfect choice for a friend who’d appreciate a fast-growing, lush houseplant. Asparagus ferns grow best in bright, indirect light and need a low to moderate amount of water. A good rule of thumb is to keep the soil semi-moist. This fern develops clusters of delicate white flowers late in the summertime. A Peace Lily. This low-maintenance houseplant belongs in a warm room in a spot that receives indirect sunlight. Put your fingers into the soil to see if it’s completely dry. If so, it’s time to water your plant. 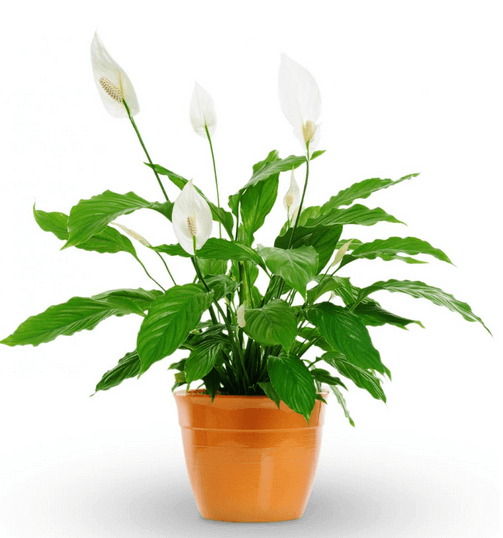 Peace lilies are tropical plants, so it’s important to mist your plant using a spray bottle of purified water every one or two days. A Chinese Evergreen. The variegated leaves of a Chinese evergreen make it an attractive gift for a friend who’d like a low-maintenance houseplant. These plants require indirect light and a moderate amount of water. When the plant’s soil begins to dry out, it’s time to water it. It’s a good idea to clean this plant’s leaves from time to time to prevent the growth of bacteria. Diffenbachia. 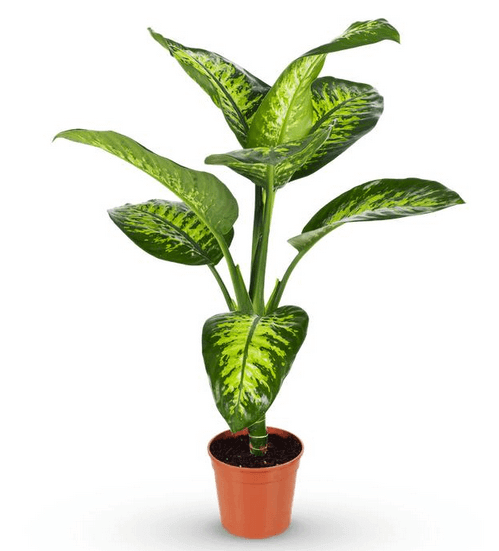 Diffenbachia needs bright, filtered sunlight to grow. When it comes to watering, it’s important to keep the soil moist but not too wet. Over-watering can cause the plant to die. Put your finger an inch deep into the soil. If it’s dry, then give the plant some water. Rotating this plant’s pot allows it to receive sunlight on all sides. I gave a diffenbachia plant to a friend for Christmas one year. She told me its variegated cream and green leaves immediately brightened up her living room! Norfolk Island Pine. This slow-growing house plant needs a moderate amount of filtered sunlight. Also, it’s important to keep its soil moist. If you see the leaves of this plant begin to fall, then adjust the amount of water you give it. Purple Passion Plant. Bright, indirect sunlight is a necessity for this houseplant. Give it enough water to moisten the soil, but don’t over-water it. Prune the plant to renew its growth. Croton. 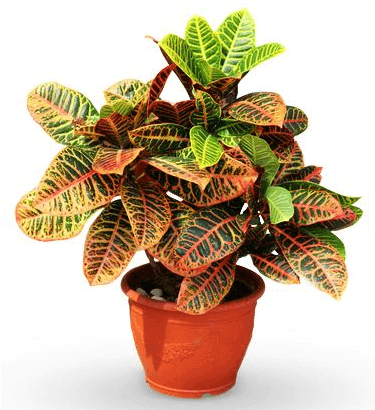 A plant owner with lots of knowledge and experience will appreciate the orange, green, indigo, yellow, red, and pink shades found in the leaves of a croton. It needs four to six hours of direct sunlight to maintain good health. This plant requires water on a regular basis to keep its soil moist but not soaking wet. A croton thrives in humid conditions, so make a pebble tray to set beneath it. A Moth Orchid. Give this plant to a friend who likes the challenge of getting a lovely plant to re-bloom. 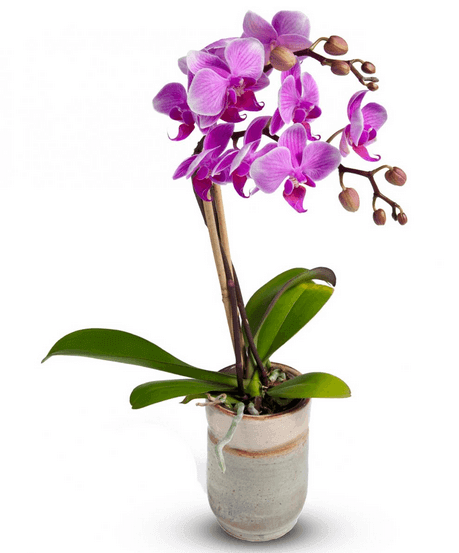 Moth orchids require indirect, moderately intense sunlight to grow. It’s a good idea to put the plant in a window that faces east. These plants flourish in more arid soil. One way to tell if it needs water is to pick up its pot and feel the weight of it. If the pot feels especially light, then it’s time to add water. It’s necessary to feed your orchid each week. Putting this tropical plant in a steamy bathroom every few days helps it to grow. Miniature Roses. A colorful gift for a friend who is a patient, diligent plant owner is a miniature rose plant. A miniature rose should be put in an area that receives five or more hours of direct sunlight per day. The air temperature in the room shouldn’t drop below 50 degrees. The soil must always be moist but not too wet. This plant needs a half-dose of liquid fertilizer every few weeks. Be on the lookout for small patches of webbing on the leaves of your plant. The presence of this webbing can mean your miniature rose has spider mites. Certain accessories can make your gift all the more special. You may want to include a colorful watering can, a box of plant food, or a spray bottle for plant misting. Anything that can help your friend care for the plant would surely be appreciated.